Starting on September 9 2013, Dubspot is launching a revamped edition of our groundbreaking DJing with Traktor Course which will focus on Traktor’s software interface, allowing you to DJ without the need for any hardware peripherals. DJing w/ Traktor – Revamped! Dubspot is proud to announce that on September 9th, 2013, a revamped edition of our groundbreaking DJing with Traktor Course will be starting. 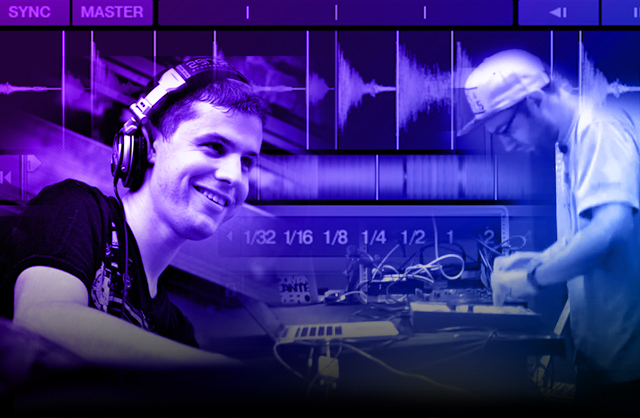 In this 3-level course, students will learn to DJ solely with the Traktor Pro 2 software using the internal interface without having to purchase standard equipment like turntables, mixer, or CDJs. This course covers beginner techniques like beat-matching to advanced techniques 4-deck mixing and using the Remix Decks with the Traktor Kontrol F1 controller. The definition of DJing has changed dramatically in the last decade. Laptops, controllers, and software have emerged alongside more traditional turntables and CDJs, smashing the barrier to entry. In today’s digital age, anyone can become a DJ. To reflect this renaissance, Dubspot has created the Digital DJing with Traktor Course. In both our physical and online schools, students will learn how to DJ entirely with Traktor’s cutting-edge technology. An emphasis will be placed on the concepts of DJing rather than simply learning how to use the software.